Wordy Wednesday :: Giving up too soon? I saw this picture while thumbing through Instagram and it spoke to me. Has that ever happened to you? An image, picture, or video that just jumps out and seems to be what you needed at that moment. It speaks to me because it shows that you never know how close you really are to what you are pushing towards, just don’t give up. It also shows that even if you do give up, someone else is always out there either pushing for the same thing or their own personal goal. That’s why its important to have a Vision for your life. 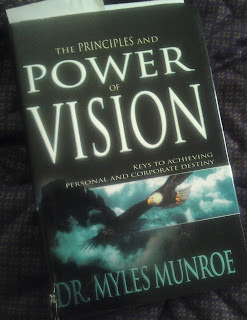 When you have VISION you usually see the end result before you begin and push towards it no matter what. Mainly because you know what you want your end result to be. I recently started reading this book The principles and power of vision by Dr. Myles Munroe. I am only on chapter 1 but it has caught my total attention. From the reviews online and the person that recommended it to me – I have only heard GREAT things about this book. I need this right now because I am totally at a crossroad and have some major decision and life changes to make. Happy Hump Day! Get over it! Wordy Wednesday :: Is it too late? I’m right there with you at the crossroad so don’t feel like you’re all alone. 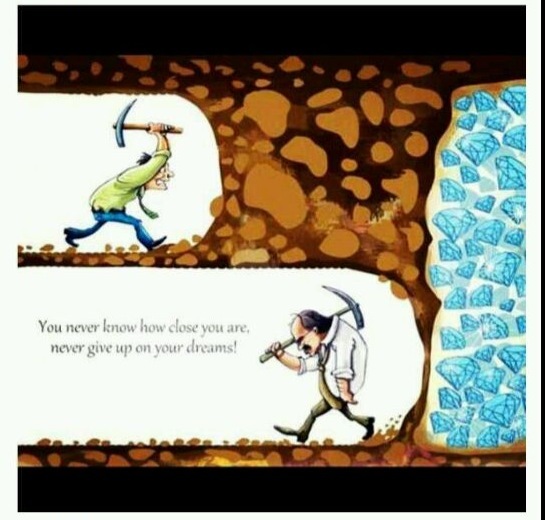 I’ve seen that same image on Facebook and it’s so true about NOT giving up. I need to add that to my reading list. If the vision is meant to be it will be it may take you longer to get there but you will. Chip away at it as much as you can until finally it’s done.